Five Brothers Insurance agents are home insurance experts and can provide you with detailed information about every policy option available to you, as well as provide you with a range of home insurance quotes to find a policy to meet your budget. Because we have remained a family owned and operated, independent agency, we are able to provide quotes from a wide range of carriers. By shopping a larger percentage of carriers and taking more time to provide personalized service than other agencies, we often save our clients money by finding policies that are affordable while meeting their specific coverage needs. Homeowners insurance is vital for protecting your most valuable personal asset – your home. A good homeowners insurance policy will insure your home’s structure and belongings in the event of a fire, vandalism or theft. Additionally, your homeowners insurance policy will often include liability coverage protecting you against claims should someone injure themselves on your property. If you live in a disaster-prone region, most agencies will recommend the addition of a separate disaster policy, such as a flood insurance policy or an earthquake insurance policy. Luckily, there are comprehensive agencies who can handle multiple insurance needs, and Five Brothers Insurance has all of your insurance policy needs covered. At Five Brothers Insurance, your dedicated agent can provide you with flood and home insurance quotes or quotes for nearly any other insurance need you may have, including auto insurance, motorcycle insurance, commercial insurance, marine insurance, boat insurance, life insurance, worker’s compensation insurance, and much more. We understand the potentially disastrous situations many Florida homeowners face, and we work closely with you to help ensure you are fully covered in the event of a natural disaster. 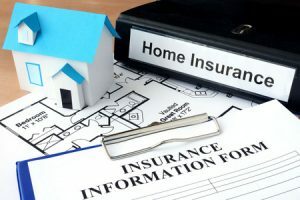 If you own a home in Tampa, Clearwater, St. Petersburg, Treasure Island, Oldsmar, Madeira Beach or elsewhere throughout Florida, contact Five Brothers Insurance today and speak to an agent near you about your home insurance needs.